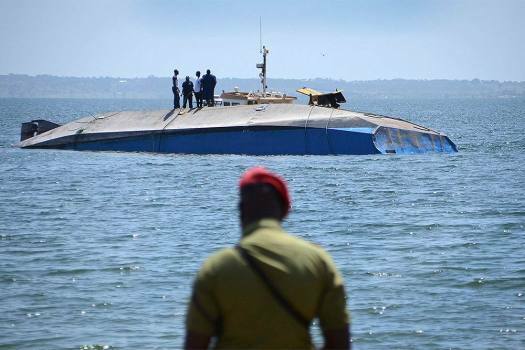 A police officer, in foreground, looks out across the water at the capsized MV Nyerere passenger ferry as it lies upturned near Ukara Island, Tanzania. 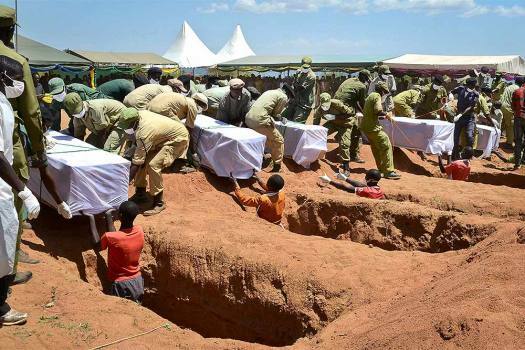 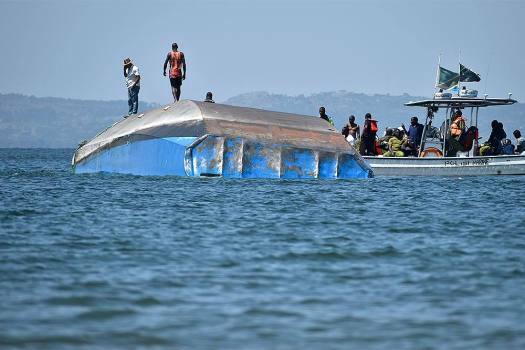 Rescue workers observe the capsized MV Nyerere passenger ferry as it lies upturned near Ukara Island, Tanzania. 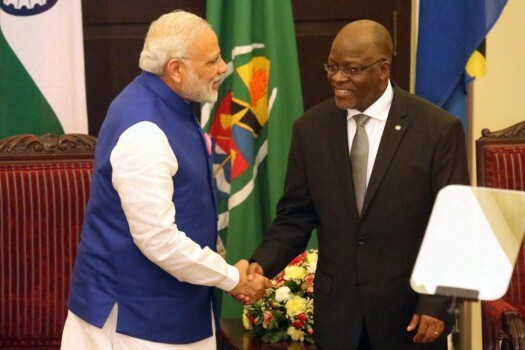 Prime Minister Narendra Modi, left, shakes hands with Tanzania President John Magufuli after their joint news conference at State House in Dar es Salaam. 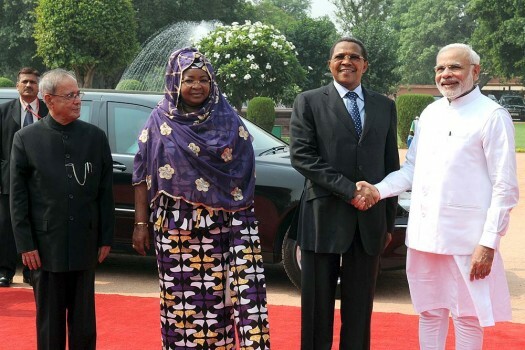 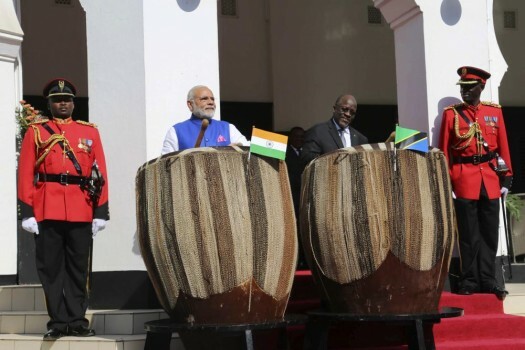 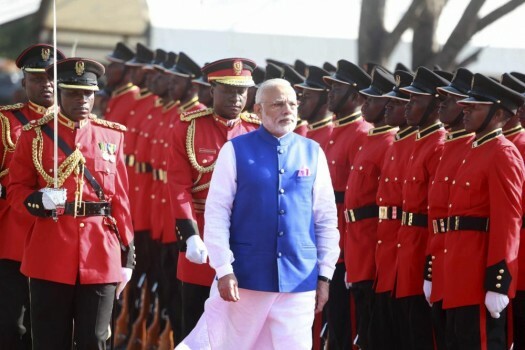 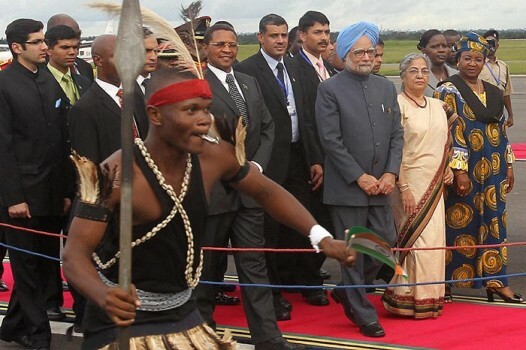 Prime Minister Narendra Modi inspects a guard of honor during an official welcome ceremony for him at State House Grounds in Dar es Salaam. 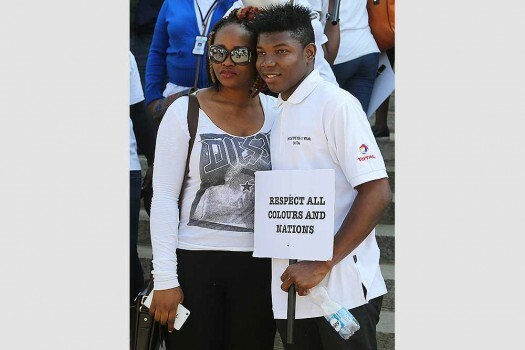 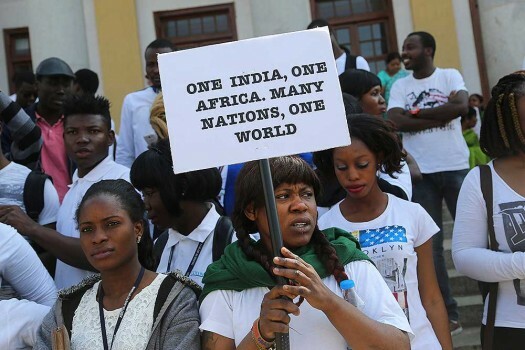 African students participate in a protest against the alleged assault of Tanzanian woman in Bangalore.